Many of the photographs, documents, and other materials on this website are public domain, while some are from private collections and are copyrighted to their owners. We provide source information for every item we post. With the exception of any material protected by a trademark or third-party copyright, and where otherwise noted, all material presented on this website as part of the New Mexico History Exhibit by ImagePast is licensed under a Creative Commons Attribution-ShareAlike 4.0 International License. If you believe a photo is in fact copyrighted or recognize that it violates use terms, please notify us. 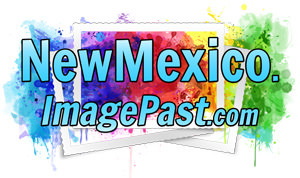 Content from this website should be attributed to NewMexico.ImagePast.com.